John Veit-Wilson is a guest member of staff in the School of Geography. Politics and Sociology. He has been affiliated to Newcastle University since 1992, where he has previously held positions as Principal Research Associate and Visiting Professor in the former Department of Social Policy. Since working on the first British national survey of poverty in 1964 his research focus has been on what poverty and income adequacy mean, how they can be measured, and what governments in the UK and elsewhere could do to combat poverty. In this blog, John outlines how his research has informed policy and practice, culminating in his being awarded a Social Policy Association Special Recognition Award in July 2014. 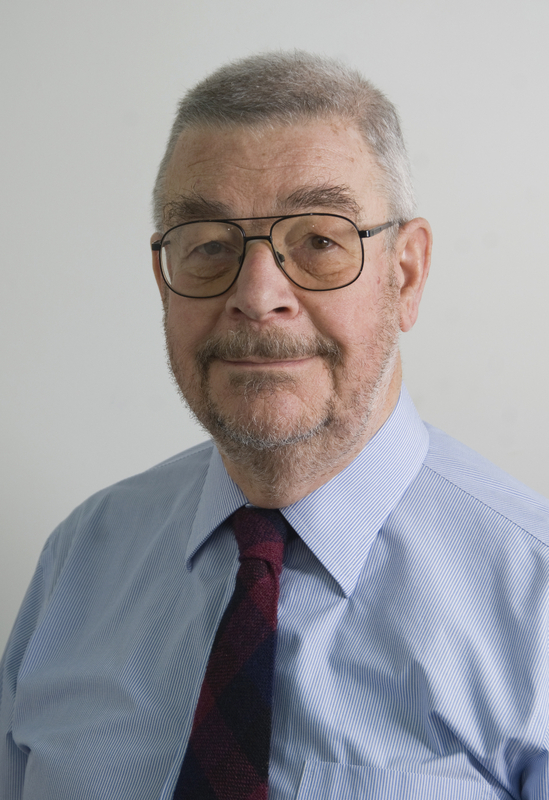 As well as helping to found the Child Poverty Action Group in 1965 to put poverty research into policy practice, finally retiring as a trustee and vice-chair only in December 2013, John has been an adviser on income adequacy issues to many organisations including the European Anti-Poverty Network and the Joseph Rowntree Foundation (JRF). He has also given both written and oral evidence to Parliamentary Select Committees and government consultations. ‘No one agrees on what poverty means’. That’s often said, but is it true? It’s been a government mantra for decades, and no UK government has ever implemented an adequate income level to meet population standards of minimum decency. The only official attempt to find out was suppressed and has never been repeated (see the chapter ‘The National Assistance Board and the ‘Rediscovery’ of Poverty’ for the story), probably because governments fear the political costs of using ordinary people’s standards of minimum decency for everyone. Once you get behind the disagreements about what statistical measures to use, what relativity means, whether poverty is a personal or a structural fault, both quantitative and qualitative research shows that the UK population has long given clear answers about the minimum levels of living which everyone here ought to be able to afford from their disposable household incomes. That minimum decency level of living for social inclusion, often called ‘adequacy’, sets the baseline. Poverty means lacking the public and personal resources, chiefly cash, to get there. The chief focus of the research has long been to get the idea of ‘adequacy’ for minimum incomes accepted in place of the variety of artificial measures such as percentages of income inequalities or prescriptive budgets. This isn’t just a matter of discovering the ‘contents of the shopping basket’ as it’s often misleadingly described, but of recognising whose minimum standards of decency, adequacy and inclusion are being used to judge it. Even the World Bank’s guide to poverty concepts and methods acknowledged that it was ‘the standards of society’ by which the minimum level of material well-being had to be judged (Ravallion 1992: 4). The pioneer of modern sociological poverty research, Peter Townsend (1993: 36), explained that relative deprivation was not being able to ‘follow the customary behaviour’ expected of members of society, and poverty was lacking or being denied resources to do so. But who judges what’s adequate for you and me, or what resources we need to get there? Only society can do that, so no wonder people are confused when politicians and media focus only on the personal characteristics of people in poverty (which are often shared right across society) rather than on the wider reasons why some people are deprived of adequate resources in our unequal society. The task of social policy research is to explore, analyse and explain these sociological and political issues (for more information, see the text of the ‘Poverty’ entry from the 2006 Routledge International Encyclopaedia of Social Policy). The question of whose standards to use goes back more than a century. Nineteenth century investigators simply identified people in poverty by middle-class judgements of their appearance and lifestyles, as politicians still do, but that does not explain why they are poor. The chemist Seebohm Rowntree’s research in York instead used a basic nutritional standard for physical subsistence alone and showed that a third of people looking poor had incomes simply too low to exist on, chiefly because of low wages, unemployment, disability or old age (see the ‘Paradigms of Poverty’ article for more information). The basic causes of poverty have not substantially changed today. In spite of government resistance, some politicians do care about the connections between ideas of poverty and how to count who suffers from it, and what the income maintenance system could do. In 1989 the House of Commons Social Services Select Committee invited me to give evidence (based on the article ‘Consensual Approaches to Poverty Lines and Social Security’), and in 1991 to advise on income adequacy in a joint meeting with the Social Security Advisory Committee. They wanted a UK feasibility study but as this was politically unacceptable JRF, the Nuffield Foundation and the British Council funded the study, Setting Adequacy Standards, of how governments around the world define their minimum incomes, 1992-94. At that time, ten governments based their minimum wages or other income maintenance provisions on their idea of a minimum acceptable level of living and the incomes needed to achieve it, and treated incomes below this level as forms of poverty. The findings may be dated but the theoretical foundations and discussion are still valid. To describe these findings, the simple descriptive phrase ‘minimum income standard’ (MIS) was augmented with the prefix ‘governmental’ or with capitals to mean a third and politically-credible kind of measure (Veit-Wilson 1994) from those still conventionally used and much confused — the wide variety of arbitrary definitions and normative measures of poverty used in academia, some of which were called poverty lines, and the governmental use of statistical indicators of income distribution or of arbitrary social security benefit rates which aren’t based on any evidence of the resources people need to meet minimally adequate levels of living in the UK. The idea of MIS, whether or not with prefix or capitals, has become very widely used both in research (e.g. JRF’s largest ever funded research programme, the ongoing MIS project from 2006 which I advise) and in practical policy (e.g. as the basis of the Living Wage), not only in the UK but other countries (e.g. see the article on ‘Active Inclusion and Minimum Incomes’, and the response to the ‘European Minimum Income’s Network (EMIN) draft EU road map’). Using a variety of research methods to find out what are the public’s minimum level of living standards and their costs does not, however, directly help a government to know at what levels to set the different parts of the income maintenance system, particularly if other kinds of evidence may also be relevant. If someone works a full week on the minimum wage shouldn’t that be adequate to keep a normal household out of poverty without supplementation? But if social security for unemployment is less than this for ‘incentive’ reasons, won’t it be inadequate for decency? What about the relationship with social security levels for long term conditions such as illness and disabilities, or old age? Questions like these demand considered judgement based on comparing evidence from research, not mere statistical formulas. When in 2000 the Social Security Select Committee reviewed the idea of integrated child benefit as a means of combating family poverty, it invited me to give written and oral evidence, and accepted that the government itself should fund such research and convene “an ongoing working party involving policy makers, academics and other interested parties to assist it to devise publicly acceptable measures of the levels of living needed to avoid poverty”. The Child Poverty Act 2010 provided for a Child Poverty Commission which might fill this role but has not yet done so. The big question remains, does having enough money make a difference to reaching decency levels, or is poverty just down to personal characteristics? JRF is funding the Money Matters research programme I’d proposed and advise, and first reports show that having money is crucial for families and the pathways by which money influences health. The next stage of the research programme aims to focus on health inequalities to find out how much money makes the crucial difference. Ravallion, R. (1992) Poverty comparison: A guide to concepts and methods, Washington, DC: The World Bank. Townsend, P. (1993) The International Analysis of Poverty, London: Harvester Wheatsheaf. Veit-Wilson, J. (1994) Dignity not Poverty. A Minimum Income Standard for the UK. IPPR for the Commission on Social Justice. John’s publications mentioned above and other papers are available online.